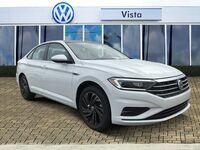 Every 2 minutes, a new Volkswagen Jetta is sold, and at Vista Volkswagen Pompano Beach you can purchase the all-new, redesigned 2019 Volkswagen Jetta. With improvements across the board, the all-new Jetta crushes competitors like the Toyota Corolla, Honda Civic, and Chevrolet Cruze in a number of areas. It’s no wonder why the Jetta is becoming increasingly popular among Fort Lauderdale, Coconut Creek, and Pompano Beach drivers. The all-new Volkswagen Jetta comes in 5 trims: S, SE, SEL, SEL Premium and GLI. Each Jetta is outfitted with a BeatsAudio™ premium sound system with the kind of sound quality you won’t find in the Honda Civic. The Jetta crushes its competitors with its warranty coverage. Volkswagen offers an outstanding 6-year/72,000-mile warranty. The Corolla offers a paltry 3-year/36,000-mile warranty. The Honda Civic offers an identically typical warranty, as does the Chevrolet Cruze. If you’re looking for real coverage, the Volkswagen Jetta is much more reliable than competitors. They don’t call it the People First Warranty for nothing. 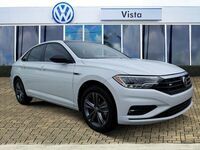 Stop by Vista Volkswagen Pompano Beach today to see the superiority of the 2019 Volkswagen Jetta for yourself. 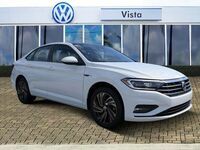 The redesigned 2019 Volkswagen Jetta is full of style upgrades that make it worth your attention. You can get your Jetta in 1 of 10 vibrant exterior paint options, while the Honda Civic comes in a range of just 8 colors. The redesigned front grille offers a distinct look, increasing the “cool” factor of the 2019 Jetta exponentially. This is the kind of vehicle you’ll want to drive around in. The interior features ambient lighting, a mood-setting feature you won’t find in the Chevrolet Cruze. Don’t you want mood lighting? The choice is clear. The Jetta is filled with advanced features like sunroof rain notification. The VW Car-Net® mobile app will notify you if it begins to rain so that you can close your sunroof. You can personally customize the Volkswagen Digital Cockpit to display the information that you need. Good luck finding that feature in the Honda Civic. Another Car-Net feature that will come in handy is its ability to integrate with smartphones with available Apple CarPlay™ and Android Auto™. Answer calls, use Siri®, and more while being able to access apps like Pandora on the road. No matter how long you look, you won’t find these smartphone integration features anywhere in the Toyota Corolla. 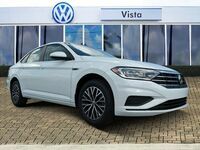 Take a look at the 2019 Volkswagen Jetta’s features when you test-drive one at Vista Volkswagen Pompano Beach today. When it comes to putting your safety in the right hands, trust nothing less than the best. Feel the security of the 2019 Volkswagen Jetta for yourself by test-driving it at Vista Volkswagen Pompano Beach today. Clearly, the 2019 Volkswagen Jetta provides more value than competitors like the Honda Civic. On top of being fun to look at, it’s fun to drive, fuel efficient, stylish, and well-crafted. With its class-leading bumper-to-bumper warranty and superior drivability, there’s no need to consider the Chevrolet Cruze. The Toyota Corolla doesn’t love your smartphone nearly as much as the Jetta, so the choice is clear. If you drive near Fort Lauderdale, Coconut Creek, or Pompano Beach, FL, then do yourself a favor and visit Vista Volkswagen Pompano Beach. You’ll find a new 2019 Volkswagen Jetta ready for you to test-drive.